The Argentine people themselves include the Fernet to their own cultural identity, just as the Asado, Gardel or the Mate tea. Despite this beverage is an Italian product and only the trademark Branca owns the term Fernet, other “bitter and herbal liqueurs” are exported as well under the term Fernet. But in Italy the Fernet is enjoyed quite different than in Argentina. Nor do the Italians mix the Fernet with Coke nor do they drink it by the gallon at parties or in discos. Other than in Córdoba the Fernet in Rome, Milano or Bologna is drunken as an elegant digestive, which is enjoyed in a small glass after an opulent meal. The Argentineans can proudly claim for themselves to possess the world highest consumption of Fernet with almost 15 million liters per year. After beer and wine Fernet is the third most sold beverage in Argentina. Most of this Fernet is drunken in Córdoba, about 30% of all national consumption. Most of the tourists visiting Argentina never drunk Fernet before in their lives. What is quite normal for Argentineans maybe an exotic behaviour for the rest of the world. With the exeption of one city: San Francisco. Almost 40% of all american consumption of this bitter schnapps is drunken in San Francisco. Thus, San Francisco/USA and Córdoba/Argentina are Fernet Branca capitals! Our interns, work and traveller and volunteers in Córdoba – as well as the farmstaynees at the country side – cannot avoid to taste sooner or later this bitter and in the beginning cough syrup tasting cult beverage. It´s just a matter of familiarization like with the first beers until you like the taste bit by bit. A smooth mixture with a lot of ice and some lemon in convivial gathering convinces some or another non-cordobese. 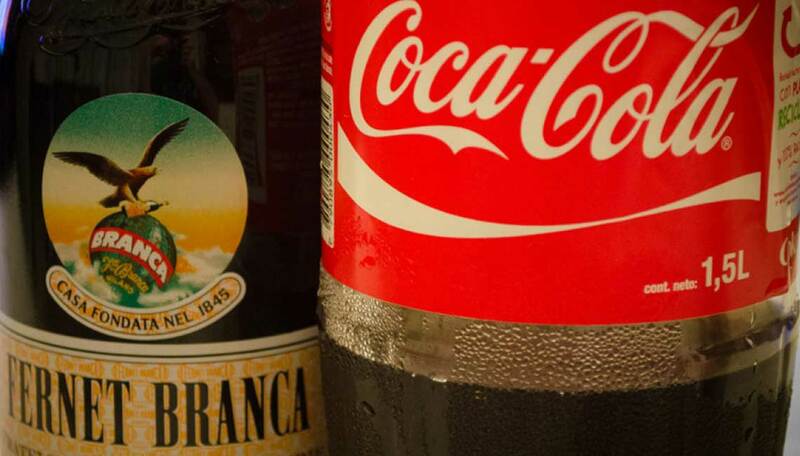 A less-bitter foretaste gives the following video to the subject Fernet con Coke – the cult beverage in Córdoba, Argentina.